Mid bloomer. 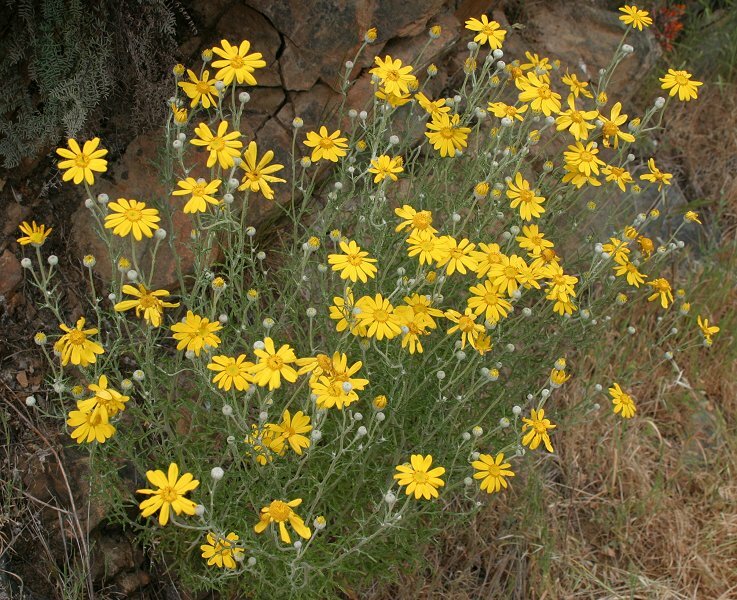 Large, yellow flowers, gray hairy stems and leaves. Common plant with many variations. Notes: Aster (Sunflower) family. Also called Common Woolly Sunflower. Some members of this family provided food for the Maidu and the extract a cure for poison oak. The seeds were sun-dried and ground into meal. Pinnate leaves, mostly near the base, white woolly covering.